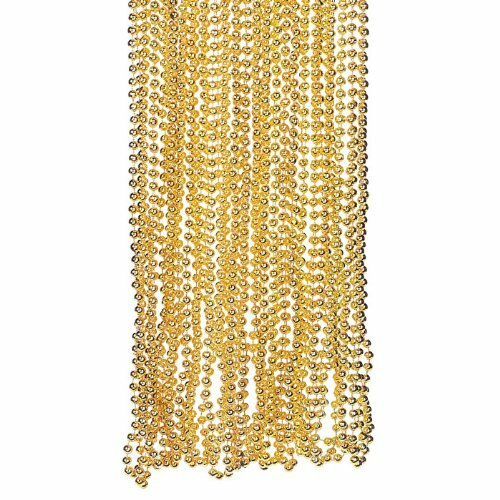 METALLIC BEAD NECKLACE An alluring adornment for Mardi Gras or any time you're in a New Orleans state of mind! 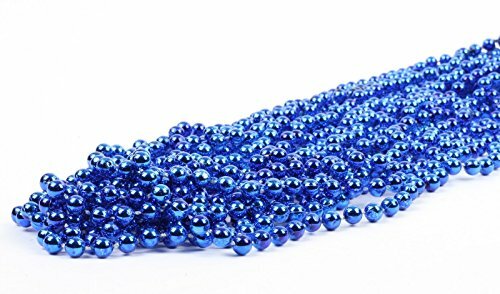 Pack of 12 beaded Plastic Necklaces. Each necklace is 33" long. Bead size 7mm. Use them as party decorations when you drape them over lamps and furniture, or tuck them into party favor treat bags so your guests can shine the night away! 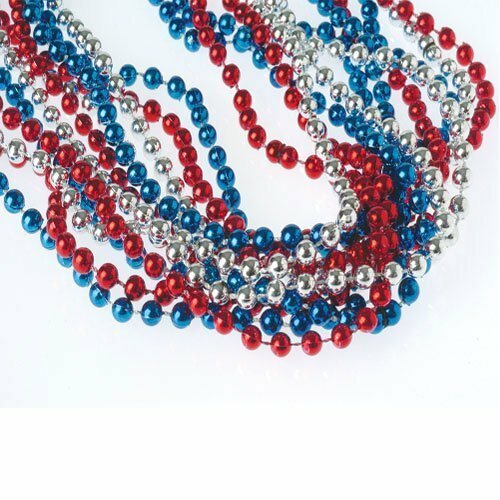 This beaded necklace is perfect for any patriotic themed event. 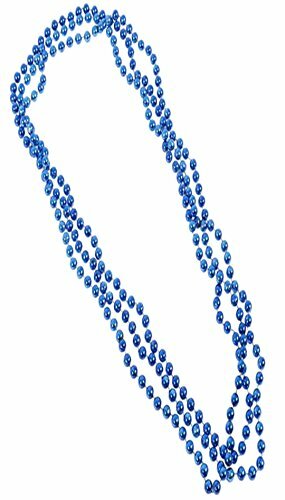 Necklaces come in assorted red, white, and blue metallic colors. Assorted. Made of plastic. 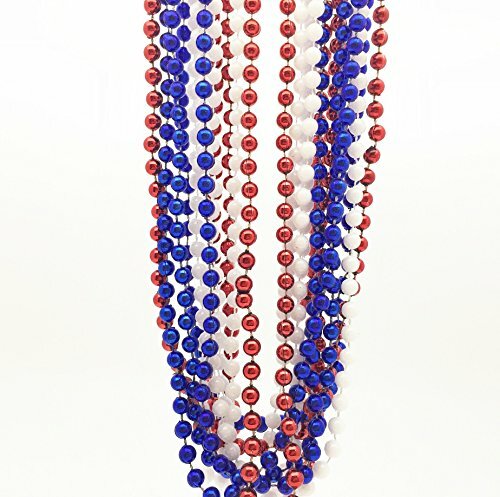 Size 32" L.
This assortment of red, white, and blue necklaces features a truly American look for July 4th, Mardi Gras, or New Year's Eve. An attractive way to show your true colors. For ages 12 and above. 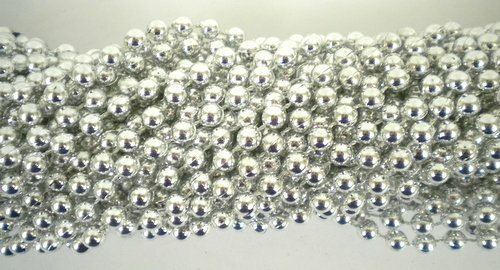 Make your special event look extra special with these Plastic Metallic Beads. Place these necklaces around your party or reception to help give a relaxed party mood. 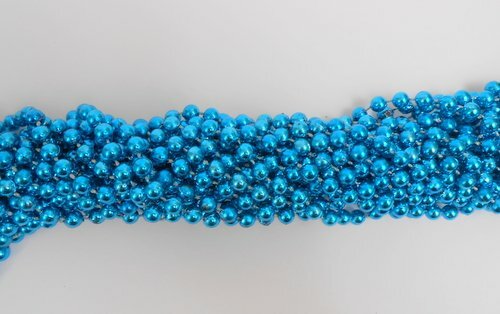 Copyright © Wholesalion.com 2019 - The Best Prices On Metallic Blue Bead Necklaces Online.